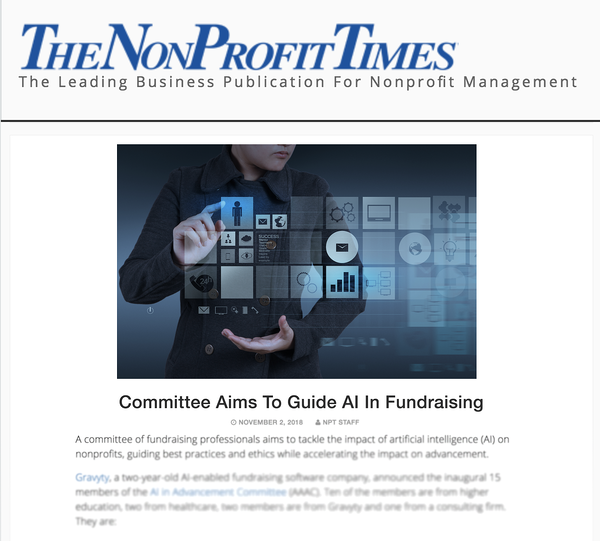 The article clearly outlines the AAAC's purpose: "A committee of fundraising professionals aims to tackle the impact of artificial intelligence (AI) on nonprofits, guiding best practices and ethics while accelerating the impact on advancement." We couldn't be more proud of this group and are excited to impact the future of Advancement with this first-of-its-kind council. Check out the full article here. And thank you to all those who joined the council to shape the future of advancement through revolutionary artificial intelligence technology.